About one month into the new school year in my role as a lead learner, I published a blog post entitled, Being a Lead Learner is a Balancing Act! I recently read my own post, and realized that I was attempting to balance by differentiating my personal and professional sides. The late nights at the office to catch up on paperwork, the even later nights of getting into bed only to grab my iPhone and scroll through emails, and the early mornings of getting to school around sunrise were beginning to take a toll. Since September I have learned that separating my personal and professional lives is not the answer to balance, at least not for me. I am in the business of children. This is who I am. My purpose is to be an advocate and an innovator in order to support kids. This doesn’t change just because I leave campus. I am proud to take that home and out into the community. Passion and purpose should be embedded throughout every aspect of us. We cannot separate ourselves from what we love in order to find balance. Balance is where our purpose lies. My purpose and passion provide the balance and stability needed in my life. The relationships I have involve people who inspire and challenge me to become better. I surround myself with others who will never allow me to remain comfortable for long. People who think differently, work in different fields, and have different goals make up my circle. People often make the mistake of surrounding themselves with only like-minded people who have the same vision. I have found that accountability for learning and adapting to change lies heavily within how much I am challenged by others who see things differently than I do. Not only does this challenge deepen my core values and beliefs, it also provides me with more perspective and clarity. Purposefully including people of all backgrounds in my circles gives me opportunity to connect, learn, and grow. It provides me with balance both personally and professionally. I have hope for a future of impacting others around me in a positive way. I build hopes and dreams for myself and for others.Where there is hope, there is always an unlimited pathway of possibilities. I find joy in every aspect of what I do. We should never wait for joy to come to us; we need to seek it out. There is joy in everything, and sometimes the journey of the search is the most rewarding. 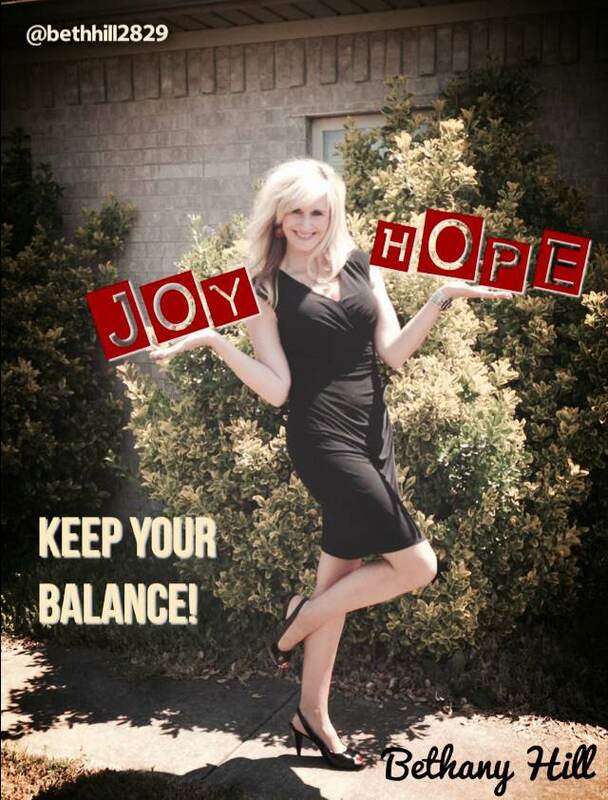 I choose joy to find balance in all aspects of life. I believe that is the way we are intended to live. I wake up each day full of hope and ready to find joy in everything I do. These two little words combine with my purpose and my passion to keep me perfectly balanced. The moments arise where I feel unsteady, but I have all the tools I need in order to find my stability. Passion and purpose via two little words. That’s all I need. This entry was posted in Edcucation, Leadership, School Administration and tagged Education, Healthy Balance, Leadership, School Administrators, school leaders. Bookmark the permalink. Well said! I think I finally ‘found’ balance when I stopped separating my private/public life – I am who I am: technolandy – principal, dad, educator, husband, etc – good and bad all wrapped into one person! 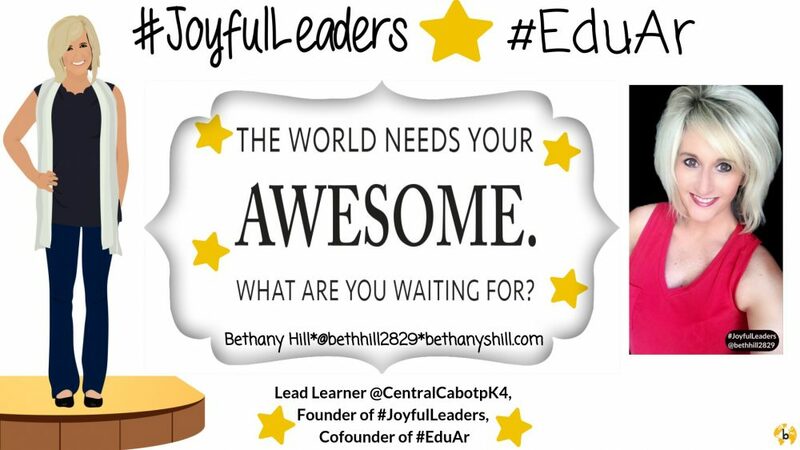 I KNOW your hope & joy will lead you to continuous positive impacts and influences – thank you for inspiring and challenging my educational practice!